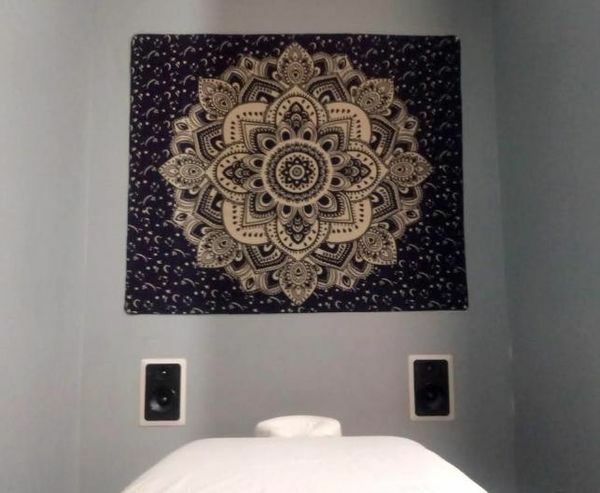 One of the most hypnotic, unique and top rated massage in the metro area. My massage work is meditative, hypnotic and serene. It’s that surreal in-between state that you may have experienced laying down to nap as you drift off, just before you fall completely asleep. What I do is conduct that dreamlike state, painting states of consciousness through sense activation. I use a medium pressure to light fingertip wisps, using dynamic flowing motions which are...More explicitly synched with the spatial characteristics and shifting moods of the carefully chosen ambient music I play. You'll be treated with the utmost respect and TLC, from the time you arrive, to the time you leave. Come experience what people raved about in my testimonials. Enter a dreamlike state of pure relaxation. Contact me via phone call or text. Looking forward to meeting! Luke is an amazingly skilled and intuitive masseur. I have been blessed to have been on his massage table for 90 minutes at least 10 times. All were absolutely blissful and amazingly zen like. Luke has this us uncanny ability to move you to that hypnotic state. His flowing massage is uniquely his. I always finish in a completely different and better world. Treat yourself to this fabulous experience... it is 5 star all the way!! I felt immediately comfortable with Luke and after a brief conversation the massage started. It was the most fluid and beautifully executed massage that I have ever experienced (and the best foot massage that I have ever had). And then the unexpected happened … about a third of the way into the session my mind began to slow down. And it kept slowing down and then it got really good – all that remained were a few random disconnected thoughts floating around my brain which I easily ignored. Then I was totally into the deep relaxation and dreamlike state that had set in. Was so easy to book a massage with Luke. He was so patient with me being a procrastinator. I went to see him and didn't have the right address but once I got it I had a wonderful massage. Luke started by visiting a bit to get to know me and then the massage began with me laying face down on his table. He found all the spots that needed attention and then he worked on the chest etc. There was some talking. I felt very comfortable with Luke and will definitely be going back to him in the future. Thank you Luke for a great massage. This review is a bit unorthodox in that it is based on three previous imassage visits in a hind sight call. 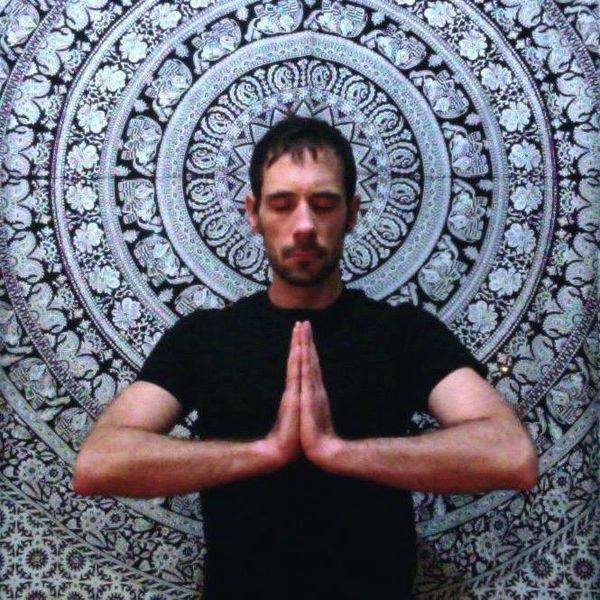 As such it is really an update based on those massages and others I've since experienced both locally and elsewhere in the U.S. Unquestionably Luke offers a real Zen like experience. Enigmatic is one word that can hardly do his skills justice. I have had no massage that transports me like his have. Anywhere. If there was a way to PATENT this man's art it would be patentable. If you are looking for that one unique massage so aptly described here you have found it. You will be transported to new lands! Like Luke said in the ad, this massage is medium to light pressure. Your muscles will in fact get worked, but not super deep tissue. That’s not what this is about. His movement, while I cant see them, as I’m on my stomach with eyes closed floating, seem like they must be complex, but executed with a grace I haven’t experienced before. Vary fluid and flawless. This truly is an artistic approach, and will leave you vary relaxed. Luke's second appt was even better than first. He was responsive to feedback from my first massage, and the subsequent massage focused on some key points I needed to have worked. He's very comfortable with his approach, his touch, and the ambiance, and it really comes through. I left completely relaxed and am ready to make him a regular therapist for me. Luke believes in his profession. He thinks deeply about what massage is, and what it could be. Over the course of the times I’ve gone to him, he’s gotten more descriptive about the theory of what he’s doing, from the exploration of consciousness, to the neurology and physiology of it. He’s an exceptionally intuitive man, intelligent and humble and relaxing to be around It’s clear that his intention with this work is to bring you to a higher state of consciousness and deep relaxation through massage. I could carry on and on about Luke, but I think I’ll leave it there. Hopefully this adds to the descriptions you’ll read in the other reviews. Make am appointment. You won’t regret it. Vary nice technique. Flowing movements, medium pressure to light finger tip wisps. Almost like a dance of movement with the ambient music. While it's not a super deep tissue massage, my muscles are feeling relaxed (think medium pressure). Amazing foot massage. I felt lots of TLC. Thanks Luke. I'll definitely be going back! I regularly treat myself to massages and Luke's technique was impressive right from the start. The whole experience left me with a deep feeling of relaxation as he coaxed the stress out of my muscles and imbued a sense of revitalization with his touch. It's not a matter of if I'll go back for another massage but when. Wow, I really drifted during the session. I wish I didn’t have to drive after. A truly great massage. Vary unique and graceful. Luke has a really nice way about him. He’s a vary nice being with a well crafted skill that transports you to other places. A relaxing transporting experience of artful movement, music, mindful presence and experienced professional massage practice that relaxed body, mind and spirit. 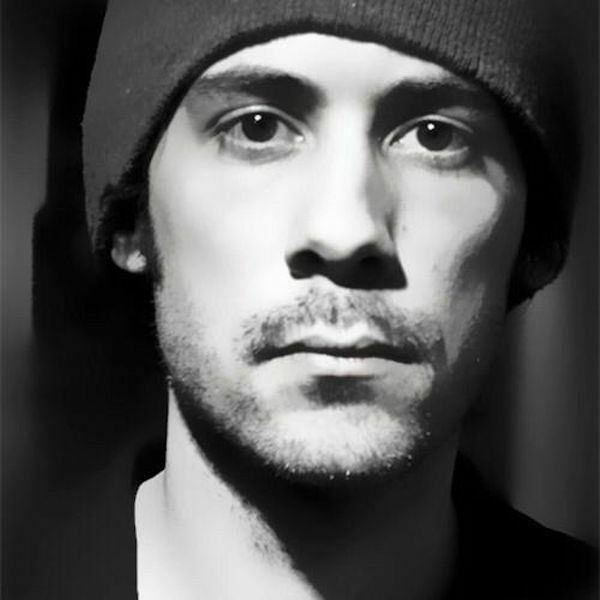 I recommend Luke to anyone who is interested in a signature approach for massage. He is kind, open, thoughtful and dedicated to creating an experience of human presence. I will be seeing him again! There's a kind of magic about Luke's approach to massage. It's rhythmic, almost timed to the ethereal music he uses, and creates something of a connection between him and hist clients. He encouraged connected breathing that really added greatly to the experience. This was my third massage from him, and I'll no doubt be back for more. If I could give 10 stars each, I would. Amazing massage, great guy. Extremely intuitive and connected to the client. Just a superior massage, one of the best without a doubt. Luke is an amazing masseur. I have had hundreds of massages all over the world, and I have to say his is the best so far. The experience was fantastic, and his massage technique is one-of-a-kind. I will be back to visit look very soon!